"American division commander General William Nash at the time told me that the Russian brigade was one of the best he had ever seen," says William Perry. 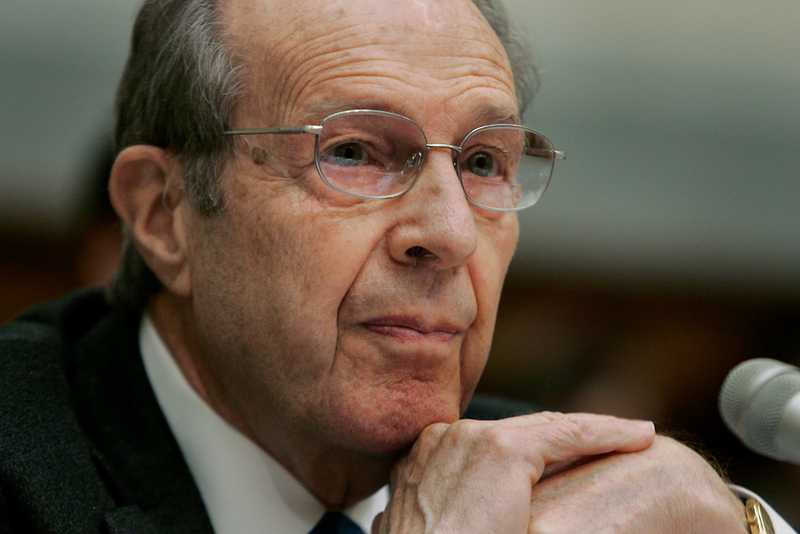 Photo: Former Secretary of Defense William Perry testifies on alternative plans for Iraq before the House Armed Services Committee. The recent NATO summit in Warsaw was the last for U.S. President Barack Obama. His first term in the White House began with a “reset” in relations with Russia and intentions to reduce the American military presence abroad. Now, NATO is expected to announce the expansion of its forces in Eastern Europe near the Russian border. Former U.S. secretary of defense William J. Perry, who was the head of the Pentagon from 1994-1997, talks to Rossiyskaya Gazeta about the U.S., Russia, and NATO. Rossiyskaya Gazeta:You were U.S. secretary of defense at the time when many believed that Russia one day might become a member of NATO. How was it possible to imagine a prospect so unconceivable today? William J. Perry: I sponsored the first meeting of a Russian defense minister with NATO in 1993. At that point we were not talking about membership in NATO, neither were the Russians. But we formed “Partnership for Peace.” The purpose was to have joint exercises and trainings for peacekeeping missions. NATO members actually came to Russia for military exercises. RG: Did the American and Western leadership have the intention of integrating Russia in the European security architecture after the end of the Cold War? W.P. : The most significant development of that time was the participation of Russia in the big security operation in Bosnia. I negotiated an agreement where Russian troops would operate as part of an American division. This wasn’t an exercise, this was a real and potentially dangerous operation. It worked very well. American division commander General William Nash at the time told me that the Russian brigade was one of the best he had ever seen. And he recommended me to give to a Russian brigade commander an American medal. RG: Why do the U.S. and NATO consider Russia a threat now? W.P. : I think that the U.S. was responsible for that in the first several years. In 1996 NATO decided to expand to the East. I argued forcefully against it. Not because I was opposed to Eastern European countries becoming NATO members as such. But I thought that should occur at the time when Russia was ready as well. If we were going to broaden NATO and include Eastern European nations, we should have considered including Russia as well. RG: Were there any like-minded officials in the U.S. administration? W.P. : No. I was pretty lonely [laughs]. RG: Was Russia treated as the Cold War loser in the 1990s? W.P. : Some in the U.S. and in NATO felt that way. They thought they could manage the problems that NATO expansion could cause in relations with Moscow. They said: “Why does that even matter?” So on top of these two specific actions there was a feeling in Russia that it was ignored. RG: How do you feel about the idea of Ukraine’s membership in NATO? W.P. : When the Bush administration started talking about offering Ukraine and Georgia NATO membership, it was a significant mistake on the part of the U.S. We do not have the logistical ability to defend Georgia, for example. NATO is not a social club, nor a fraternity. It should not offer membership to any nation where you can’t carry out the charter. RG: How effective is the U.S. missile defense system in Europe that Russia sees as a threat? W.P. : I don’t think it is an effective system. The shield against ballistic missiles is a needless expense. When I was secretary of defense we had a research and development program of that kind, but never a production and deployment program. I could see that it was a significant irritant to U.S.-Russia relations. But the Bush administration believed that the system was important enough to deploy it even in opposition to Russian objections. RG: Can this system technically be used against Russia? W.P. : My best technical judgment is that this system would have no significant effect on it. The best thing I can say about the Russian point of view is that somebody might believe that while this system is not threatening Russia, it might eventually lead to a system that would affect deterrence, which is a pretty remote prospect. The system that is being deployed would have little to no effect against Russian nuclear deterrence. RG: Ex-secretary of defense Chuck Hagel criticized plans to send more U.S. soldiers to Eastern Europe, suggesting a threat of a new Cold War. Do you think this threat exists? W.P. : Washington sees Russia rearming, so the forces in our political elite that want to rearm the U.S. will prevail. We will send soldiers to Eastern Europe. There is a danger that each side is taking actions that move us closer to a situation where we could blunder into some kind of military conflict. An incident by a colonel in either force could trigger an action that neither president wants. RG: Is there a threat of a new nuclear arms race? W.P. : In the last 10 years many irritants in bilateral relations have come from Moscow. There was the beginning of a large buildup in Russian nuclear forces. What mattered was how some government officials spoke about that, in a threatening tone to the U.S. and European countries. One of the most dramatic examples of that was the famous comment from TV commentator Dmitry Kiselyov stating that Russia was “the only country capable of turning the U.S. into radioactive ash.” And nobody in the government disavowed his statement. It caused really deep concern [in the U.S.]. So the U.S. is now starting to rebuild its nuclear arsenal. We could have avoided that. RG: Moscow is also concerned about development in the U.S. of alternative armed systems, including hypersonic missiles or the concept of Prompt Global Strike. W.P. : Non-nuclear weapons with nuclear-like capabilities. I’m not in favor of those programs. They are largely ineffective. Besides, they are needless irritants that cause concerns in Russia. RG: Last year the Doomsday Clock was moved to 23:57. Do you think this is a correct estimate of the nuclear confrontation threat? W.P. : I do. I believe that the danger today of a nuclear catastrophe is greater than it was during the Cold War. Today we have the danger of nuclear terrorism that didn’t exist at that time. Another new danger is a nuclear regional war. Add the two possibilities that did exist in the Cold War: accidental nuclear war due to a false alarm for example, or nuclear war due to miscalculation. I myself witnessed false alarms three times when we barely avoided nuclear confrontation. Each time I thought it could be the last day of my life. Put all four of those possibilities together and you have today a higher possibility of a nuclear catastrophe than you had during the Cold War. RG: Do you believe the U.S., NATO and Russia should go beyond the freezing of relations that happened after the Ukraine crisis? W.P. : It’s imperative for both the U.S. and Russian governments to find a way to repair this bad relationship. The U.S. and Russia [must] set up a joint working group to reduce the danger of nuclear terrorism. Maybe then we would have the basis for starting to repair this rupture in our relations. Read more: Is NATO’s antimissile defense system in Europe a threat to Russia?